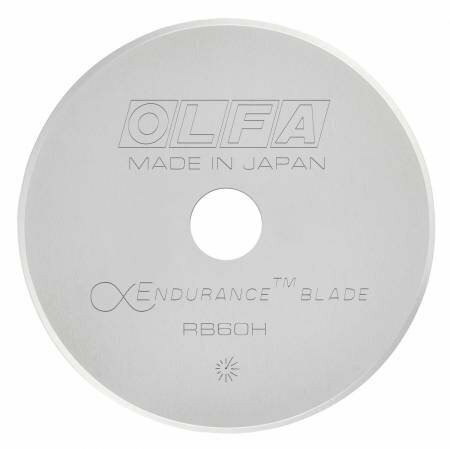 This OLFA® Endurance Rotary Blade cuts TWO TIMES as long as the OLFA® standard rotary blades. The expertly-honed tungsten tool steel blade with proprietary metal chemistry is designed to cut twice as long to extend time between blade changes, saving you time and money! The replacement blade fits any OLFA® 60mm rotary cutter you may already have. 1 blade per pack.